Liz recaps her trip to the International Symposium for Pediatric Neuro Oncology (ISPNO). Between June 29 – July 3 I attended the International Symposium for Pediatric Neuro Oncology (ISPNO) in Denver, Colorado. Occuring every two years, ISPNO is the world’s largest dedicated meeting to focus solely on pediatric brain cancer, this year more than 1,400 people attended. I’m proud to say the Robert Connor Dawes Foundation was one of the major sponsors of the event and the only Australian charity to attend. Thanks to our Travel Grants, three Australian brain cancer professionals were also able to attend, who without your generous support, would not have been able to. Thanks to you, Geraldine Callan (Brain Cancer Care Coordinator, Royal Children’s Hospital), Kate Stanhope (Brain Cancer Clinical Trials Coordinator, Royal Children’s Hospital) and Robyn Strong, the manager of ANZCHOG were able to join myself and RCD Foundation Research Liaison Celia Williams at ISPNO. The meeting is extremely technical and scientific so I won’t go into too much detail! Broadly there are five areas that are showing significant improvements, which are all critical to increasing survival rates and improving quality of life for children facing brain cancer. 1. Tumour analysis: dramatic advances in this area, especially from genomics (which our AIM BRAIN Project is part of) and new potential using blood tests (related to tumour DNA). 2. Genetically engineered (manipulated DNA) mouse models and fascinating new advances using zebrafish. Zebrafish allow initial results within days versus several weeks with mice. 3. Identifying the right drugs for the right patient (personalised medicine). 4. Imaging: improving MRI and pediatric FLT-PET (showing promise in ability to detect early treatment response). 5. Advances in neuro surgery-neuro imaging. In some cases, older children are being kept awake to help minimise surgery caused deficits. 6. Blood Brain Barrier-Convection-enhanced drug delivery (direct port to brain/tumour), this includes in some cases immunotherapy (i.e. using the polio vaccine). The meeting is an excellent opportunity to network, strengthen existing relationships and meet new researchers and advocates form around the world. Allowing us to identify new ways to support the pediatric brain cancer community and ensure the research we fund in Australia is part of the larger picture to finding a global cure to this global disease. A highlight for me was meeting several parents that have established charities after losing their children to brain cancer. We share a common bond and have all committed to working together to help accelerate progress. 1. We have joined the Children’s Brain Tumour Tissue Consortium (CBTTC) and I’ve been invited to join their Advisory Council. The CBTTC is a collaborative, multi-institutional research program dedicated to the study and treatment of childhood brain tumours. The CBTTC supports the research of new prognostic biomarkers and therapies for children with pediatric brain tumours. As part of this research effort, the CBTTC has developed a network of informatics and data applications which allow researchers from across the world to work together to discover cures. “Innovation through collaboration” is made possible by the CBTTC’s state-of-the-art biorepository as well as expertise of leaders in the field of biomedicine. The Hudson Institute of Medical Research in Melbourne is one of the sixteen member institutions with several other Australian institutions in conversation with the CBTTC. 2. We are in initial discussions with one of the US’s premier pediatric brain cancer research labs to potentially fund a young Australian researcher to work in their lab. This is an exciting opportunity to help ensure collaboration continues to grow between Australia and the rest of the pediatric brain cancer community. We will be sharing more information about this new program throughout the next year. We will also support The Cure Starts Now global meeting on DIPG (an always fatal form of brain cancer) in Sydney August 2019. There was an energy at this meeting that felt positive, different from two years ago in Liverpool. The quantity and quality of research presented was unprecedented. There is so much being learned and at an accelerated rate. The challenge will be to harness this information in ways that can be productive. Stefan Pfister, from DFKZ in Germany pointed out that there are 140 different types of brain cancer, and that collaboration has to be the key. 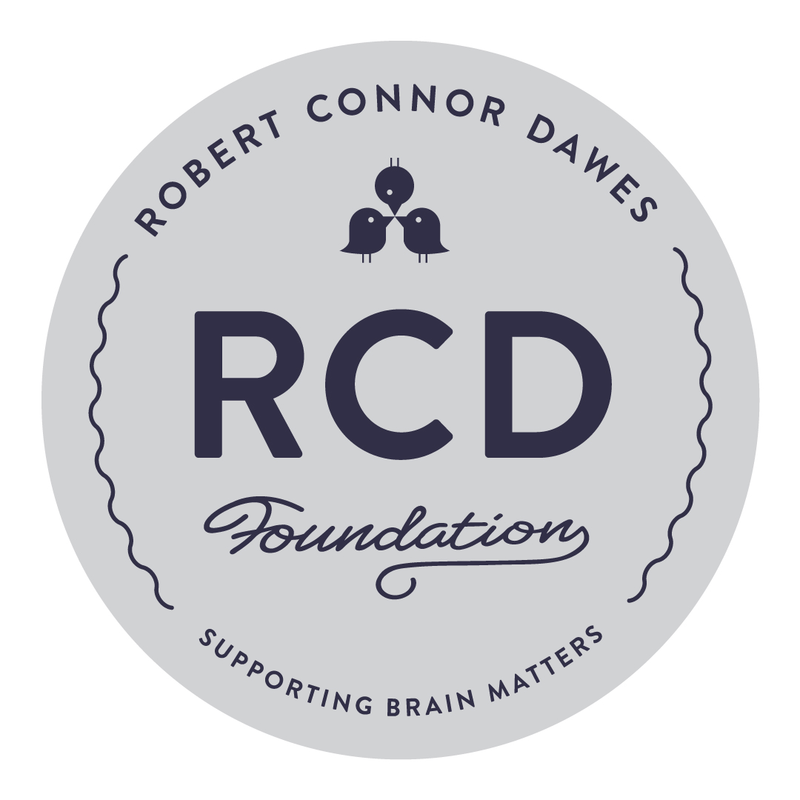 Five years ago, we started the Robert Connor Dawes Foundation to create a meaningful legacy in Connor’s name and memory. We are now making a real impact and are a strong voice for young people diagnosed with brain cancer. 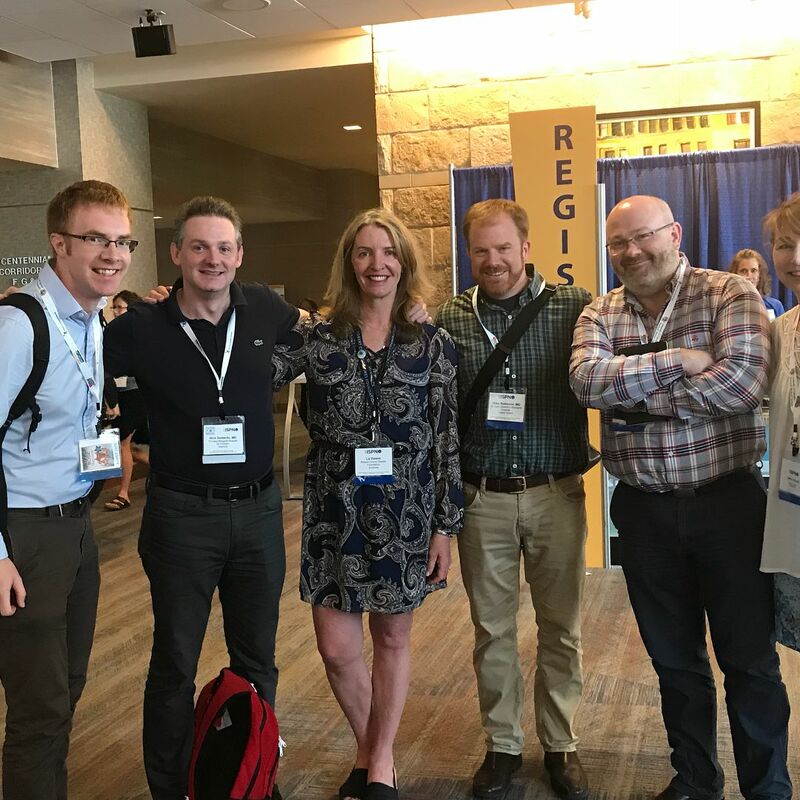 I left ISPNO renewed, knowing that our presence in this industry is important and that there is so much more we can do and will do with our community’s incredible support.